welcome to part two of the apple pie saga. 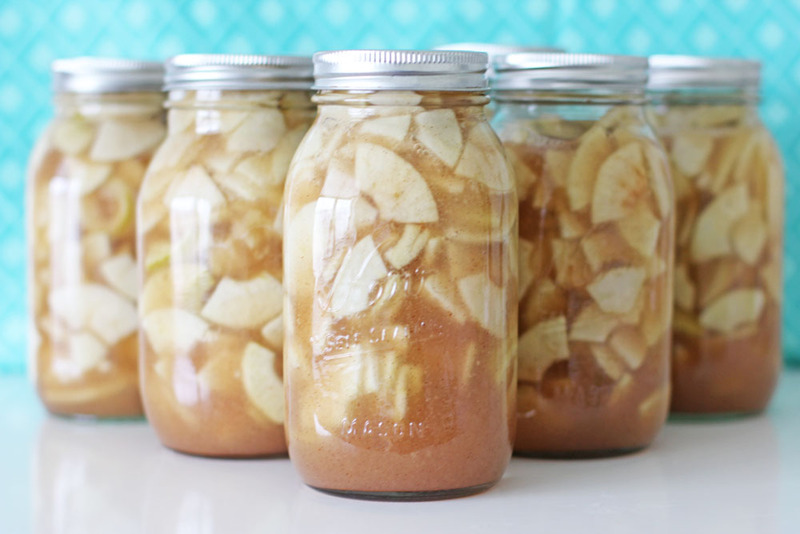 okay so now that you have all this apple pie filling in your pantry. lets make an actual apple pie out it shall we? 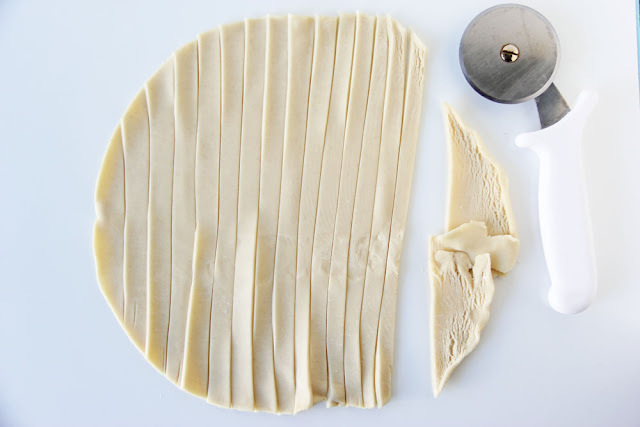 now if you are looking for a homemade pie crust...keep looking cause that's not what i'm doing here. 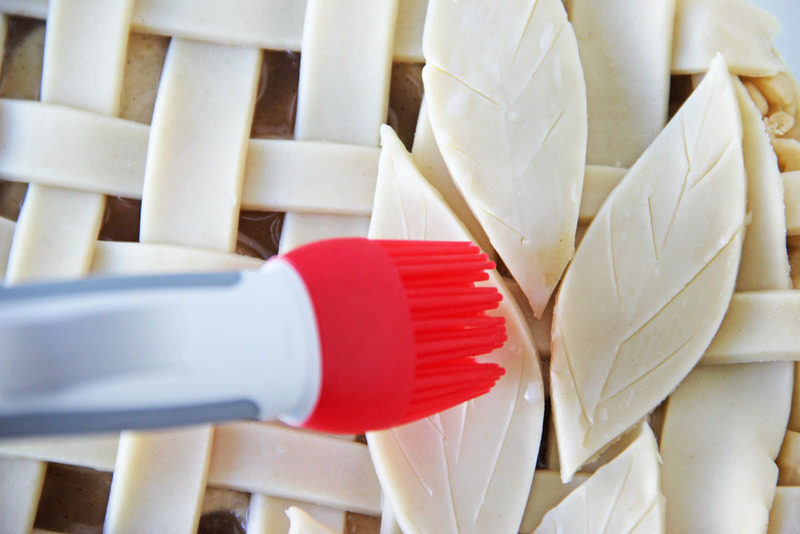 all we're doing here is taking pre-made stuff and creating a very pretty lattice pie crust. 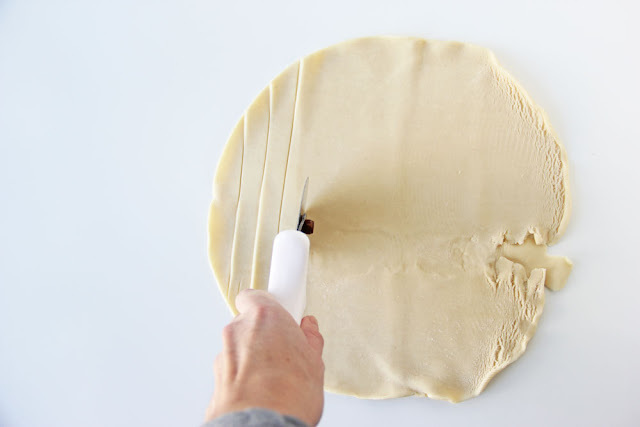 oh i've tried to make my own crust...and i don't have the touch yet. i'll keep trying and someday i'll get it right and then i'll rejoice. -pour one mason jar full of apple pie into the crust. -notice that my pie crust was a little munched on one side, it's okay we will use it for the leafs so i placed it aside. -you will need to leave just a little for the leaves. 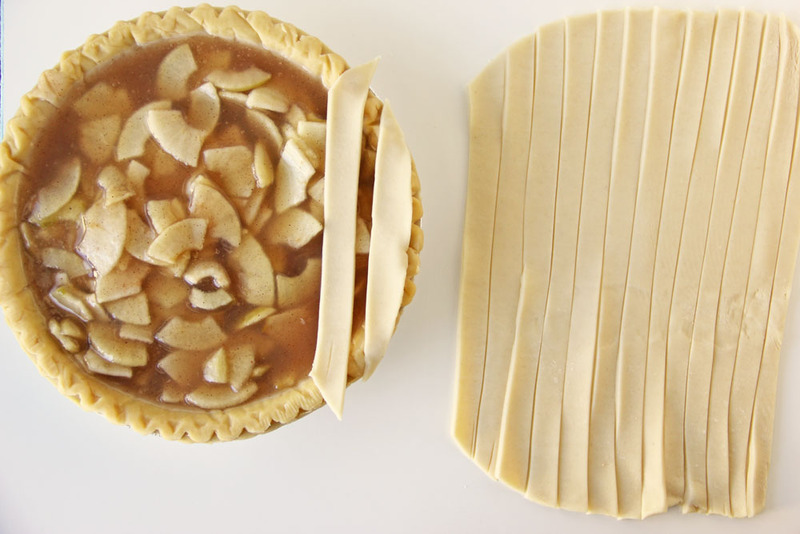 - cut off the excess and add it to the extra you placed it aside. -now to make the lattice part of the crust. -continue to interweave the dough strips. 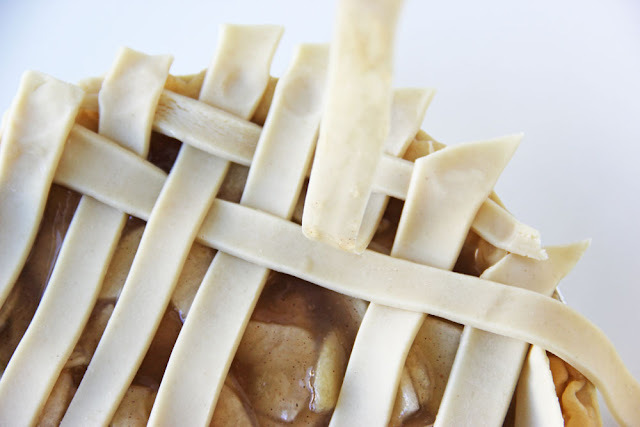 -press down the ends when you get all the lattice done. 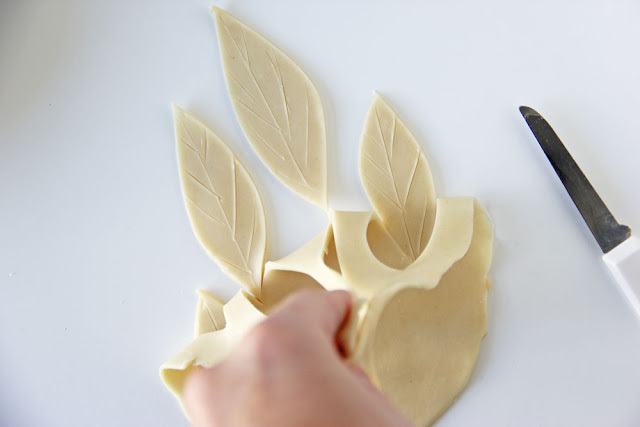 -pull back the extra dough from your cut out leaves. 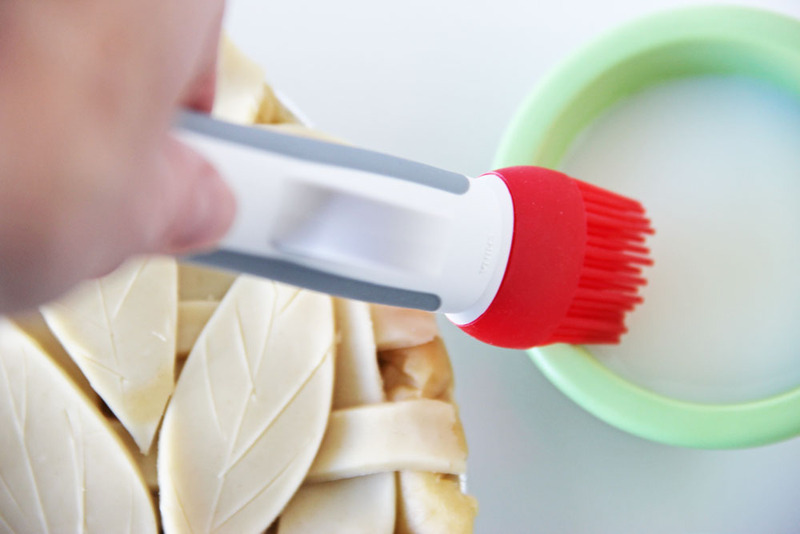 -get your milk and your sugar and if you have a pastry brush it will be helpful. -brush some milk on top of the leaves and lattice. -after you have brushed milk all over the top of the crust, sprinkle sugar on top of the crust. 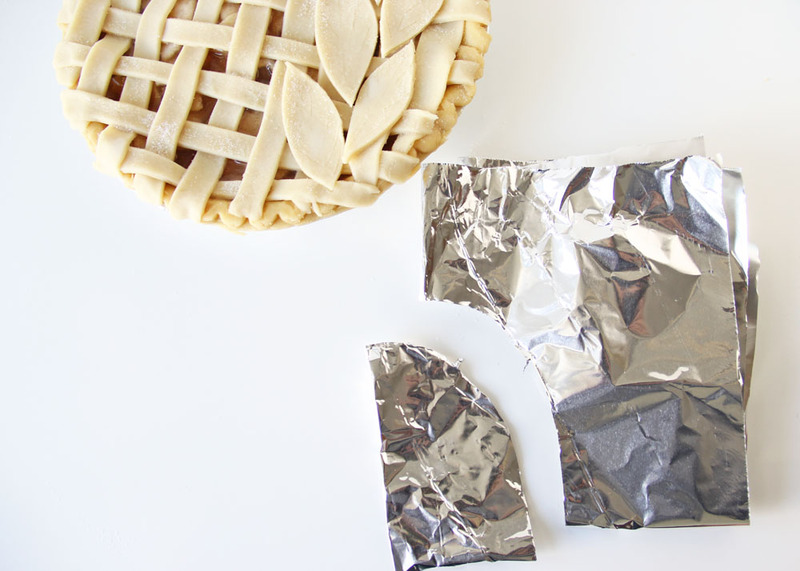 -while waiting for the oven to preheat get a square piece of foil paper and fold in 4. -continue to cook for 30 minutes or until you see the juice boil. 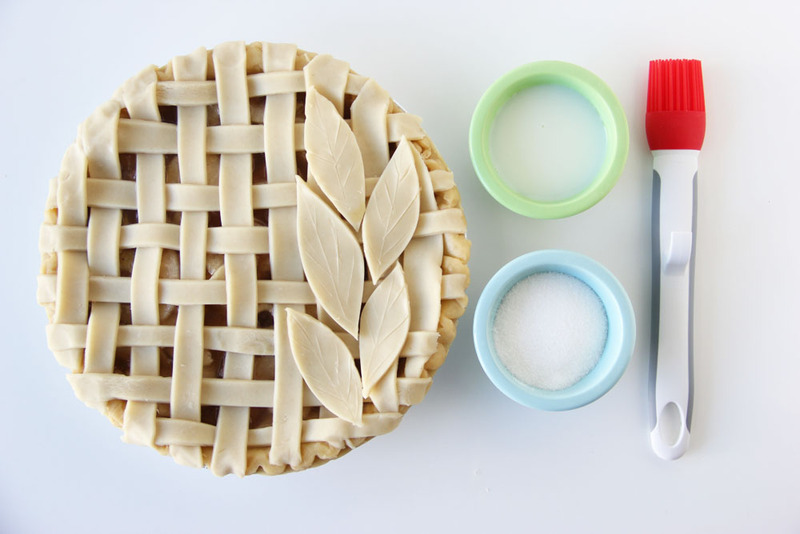 now you have a pretty pretty pie. and it should taste really good. while we weren't looking the dog decided to get on his hind legs and grab and drag the pretty pretty pie onto the floor and proceed to eat the WHOLE *breathe vanessa breathe* whole pie. it happened on thanksgiving morning of all days. so when i saw the pie tin empty on the floor. i screamed "NO WAY!no nononononoooooooo.!" the whole family came running and then they all stopped short and no one said a word because i wasn't saying anything anymore but i was flapping my arms up and down...not saying a word. 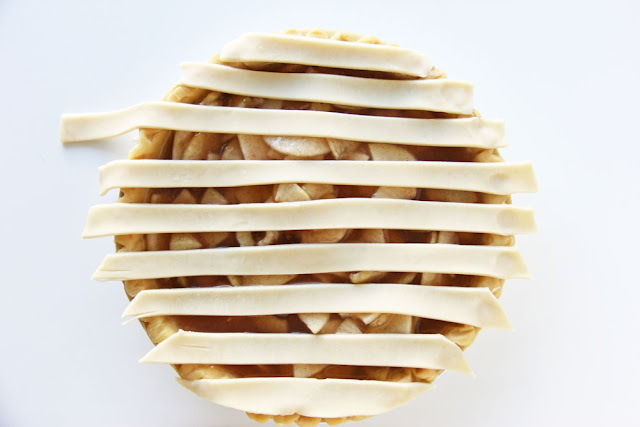 the husband kindly and quietly suggested we just buy a pie. i gave him "the stare" he quickly backed away. and then we went to try to find a pie. oh yeah did you know that EVERYONE and their DOG buy pies BEFORE thanksgving morning?? 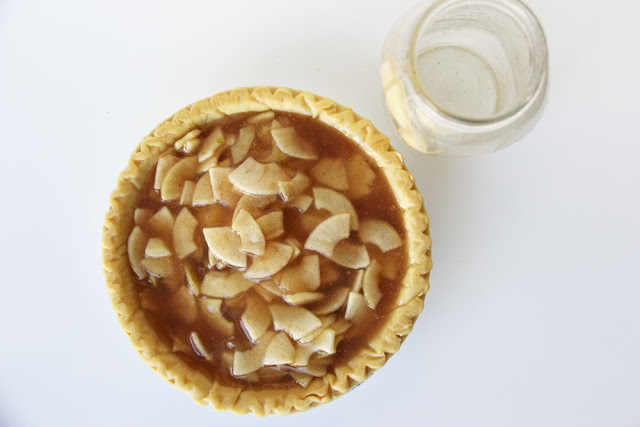 we even asked the lady at the bakery in walmart if they had any apple pies left. she gave me the look as "moron, everyone bought pies yesterday." k fine so we bought a frozen pie. I can feel your pain, but I've got to tell you that I also roared with laughter as Denise did when I read about the dog. NO WAY did I have an inkling the story was headed in that direction. It was a nice tute if that helps. lol FYI... 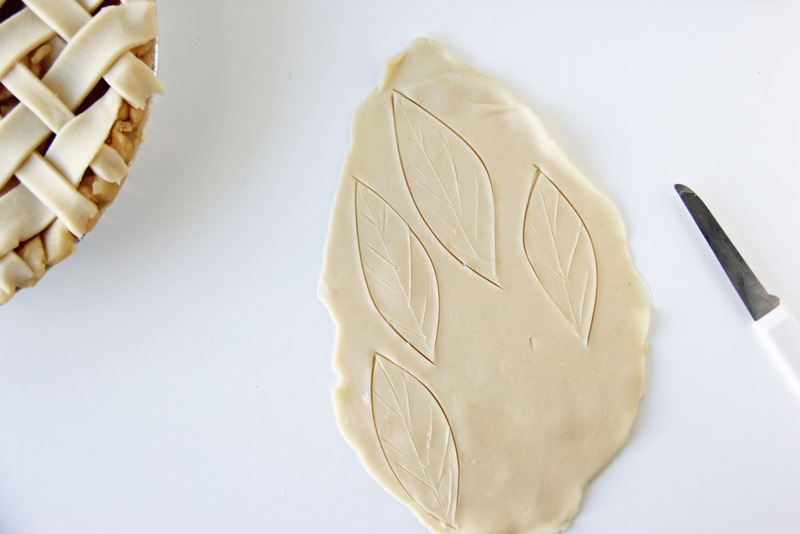 Try using the rolled pie crust as the bottom crust. 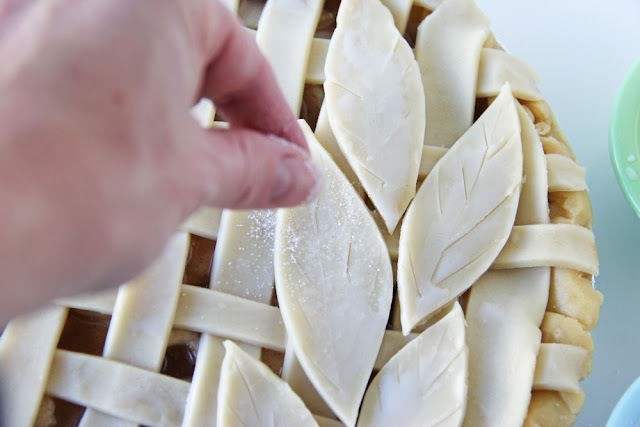 Sprinkle a tiny bit of flour on the bottom of the pan and Just lay it in the pan and use you fingers to smooth it in the bottom without stretching it, pleat the excess on the sides just like a pleat in a skirt and after you've laid the lattice on pinch the top and bottom layers together and trim off the excess. 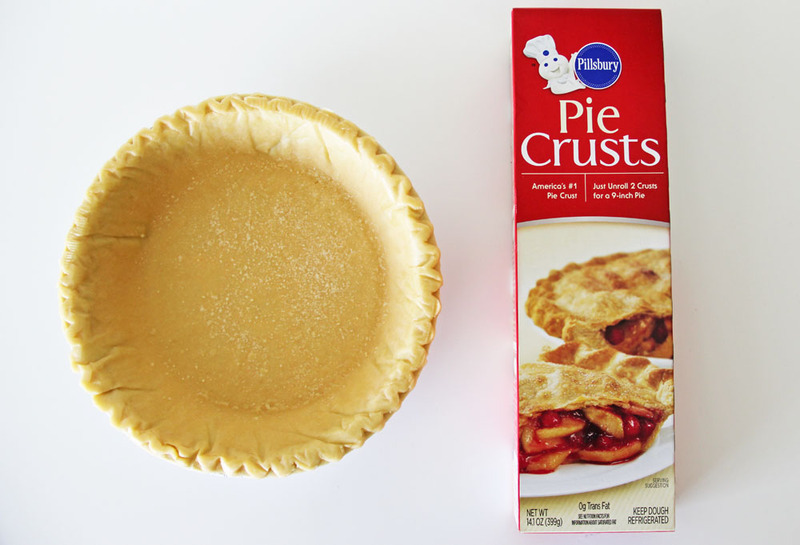 My opinion is that the rolled crusts are better than frozen is why I suggest this. I love this post and want to try it but I actually laughed out loud when I read about your dog, and the turtle picture made me laugh even harder. Thanks for starting my day with a good laugh (and an appetite for apple pie). I feel your pain -- we had a dog who ate a whole pecan pie once. 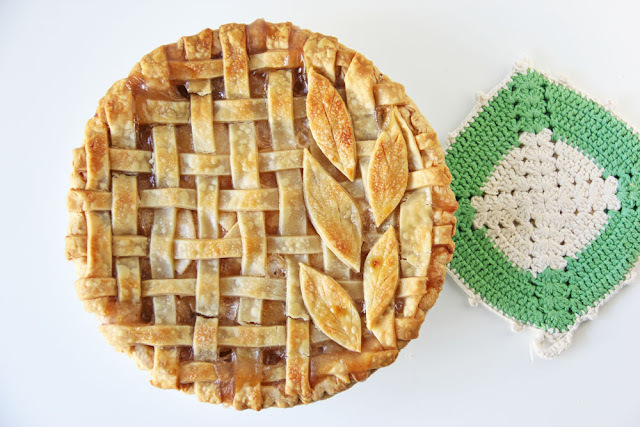 If it's any consolation, your dog ate a GORGEOUS pie! Beautiful pie with a funny ending to the story. Great for laughs in years to come. I once had 3 lbs. of apples missing with a dog that wouldn't make eye contact. Gotta love them! oh no! That sounds like such a typical horrible Thanksgiving thing to happen. I was laughing so hard I was crying! LOVE the turtle pic. We have two dogs, so I could totally picture this happening to me. And my practical husband saying exactly the same thing. The tutorial was great. I think I'll go make a pie. Love your blog. Thanks for sharing. The pie looks so delicious and your story made me laugh out loud. Kinda makes me feel better about killing the yeast in the rolls I was supposed to bring for dinner (thank goodness for Sister Shubert :)). 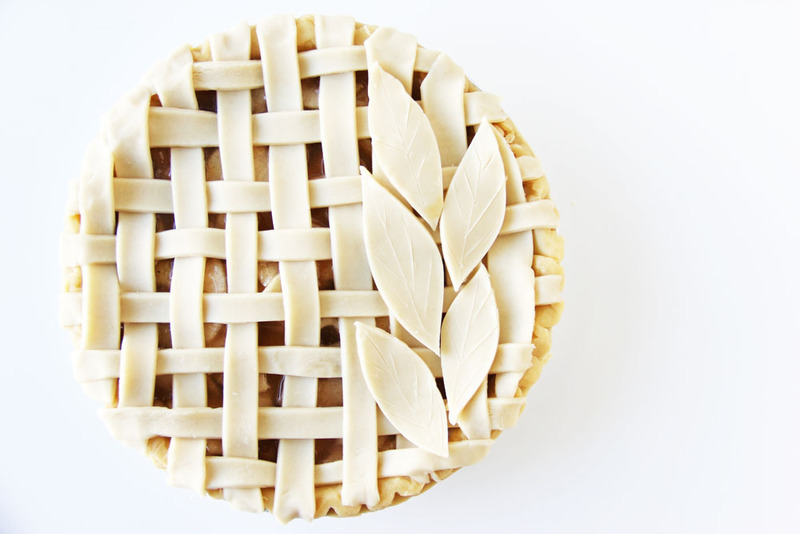 Your pie is so pretty! We have two labs that like to get into our food too! Our tiny lab ate a whole giant package of those el-cheapo sandwich cookies while we were on vacation...the poor dog got so sick she had to sleep outside. (Yes, they are spoiled dogs!) Nothing like vomit to go and ruin a perfectly good vacation! I shouldn't laugh but that is really funny. I am sorry! I am still laughing out loud. Oh my goodness!!! This made me crack up! Your dog looks just like mine...guilty! LOL Thanks for this blog post! It made a perfect end to a not so perfect day!! Thank you!!!! Hilarious! Although I would have been just as mad as you! Please tell me the dog didn't throw up or get doggie-diarrhea?!? That's what my dog would have done...insult to injury! Happy belated Pie wishes to you! Oh my God... I just laugh and laugh!!!! And when I saw the turtle photo... I rolled on the floor!!!! Oh my goodness!!! I was roaring with laughter by the end of this post! I can so relate to this! I had a yellow lab that used to "counter surf", too. Some of the items she "found" were: a whole filet of salmon, 2 lobster tails, and a flank steak marinating in a ziplog bag which she dragged out onto the white dining room carpet and ate under the dining room table! 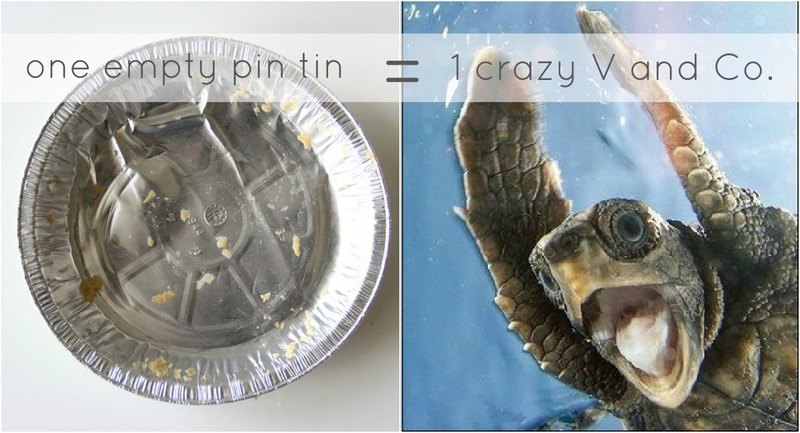 The apple pie incident and the guilty dog picture bring back such memories....and, yes, I too had the turtle face (love that picture!). 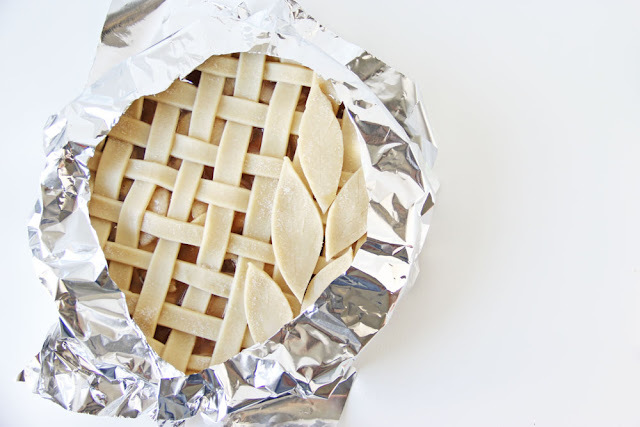 So ingenious of you to cut a circle to place around the pie crust edge to keep it from burning! I've been just placing strips of foil around it and of course it falls off when it needs to stay in place. 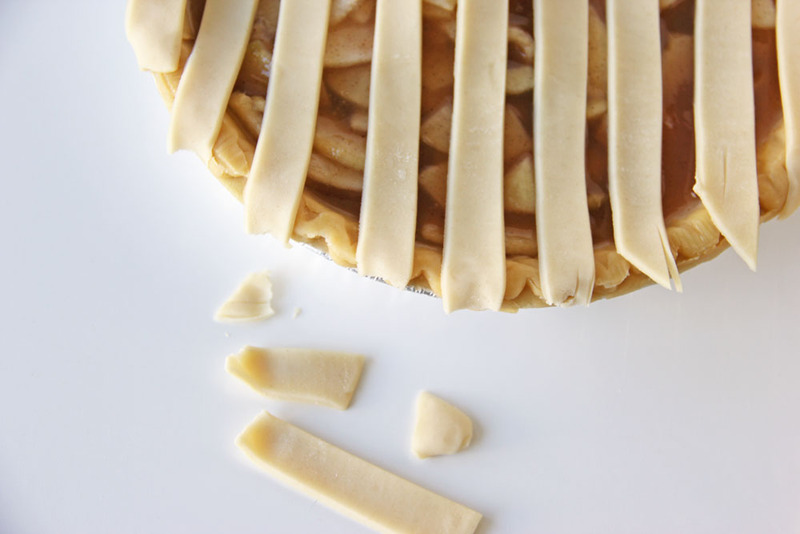 Then I try to crimp it back onto the edge and it stays until I close the oven door again! 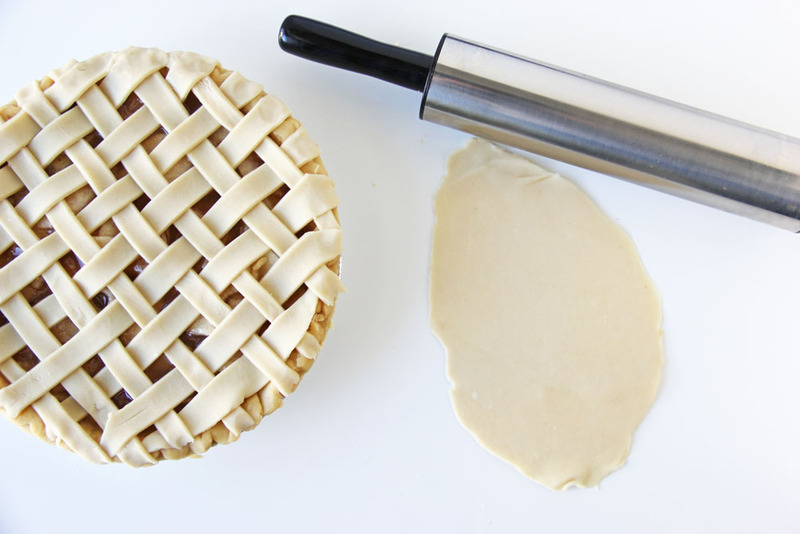 Your pie was beautiful. 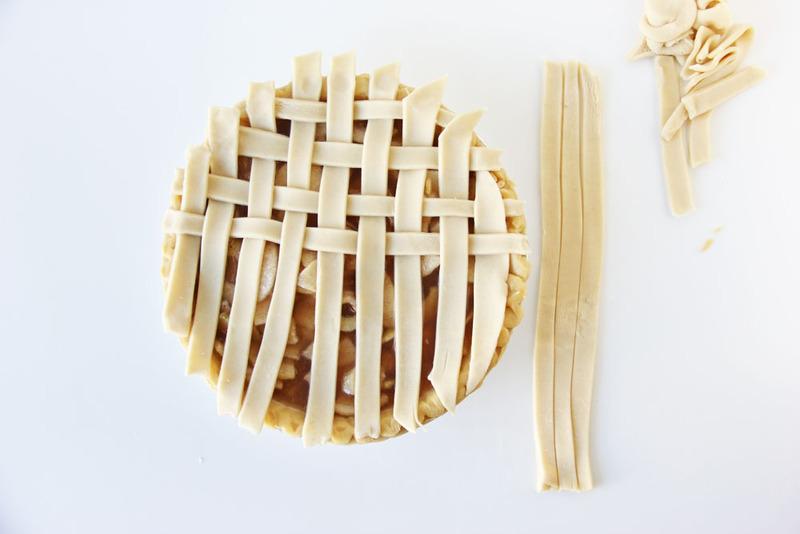 As I read your post and got to the dog and the pie I just started cackling out loud. I am so sorry that your pain aided in my laughter. Your story reminded of the movie "The Christmas Story" where the dogs take off with the Christmas turkey.I hope you have a wonderful Christmas. One empty PIN tin. Rock on Vanessa. 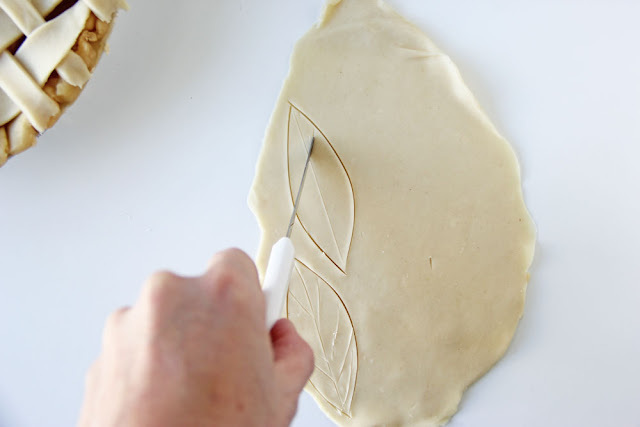 OK, I have to tell you, I tried and tried to get pie crust down and in the end, it was that I was over handling it. 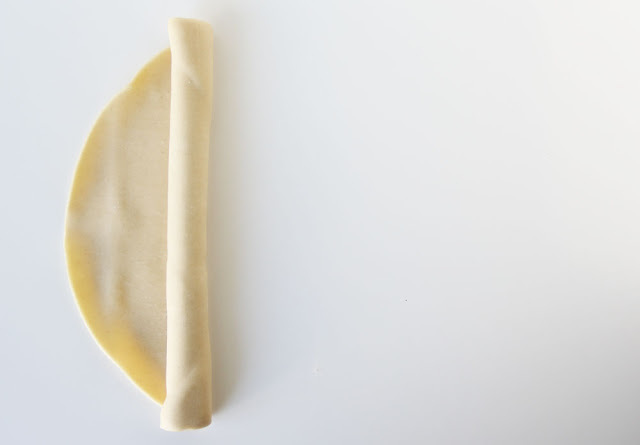 You need to gently roll it out, handling it as little as possible. I am still not as good as my MIL (of course) but my pies are pretty amazing now! I do have a good recipe if you need one, it's pretty standard though. 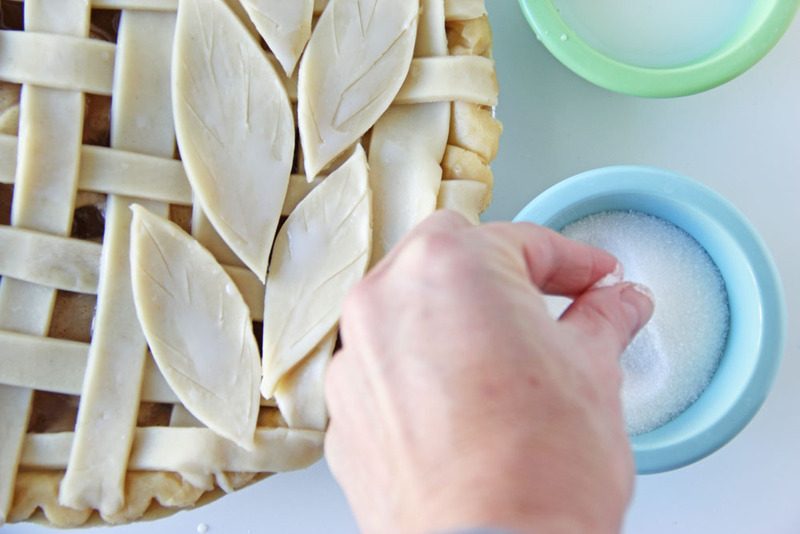 :) Keep that dog away from this year's pies!